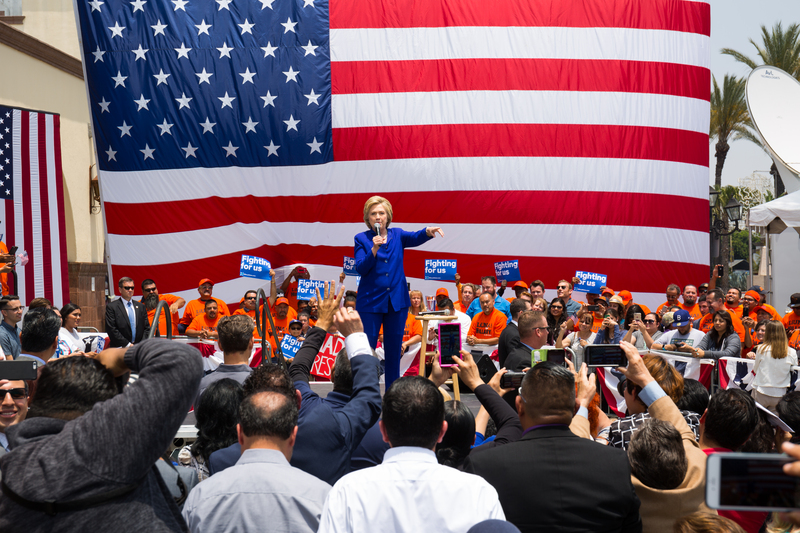 On Monday, June 6 I shot my second Hillary Clinton California Primary event. 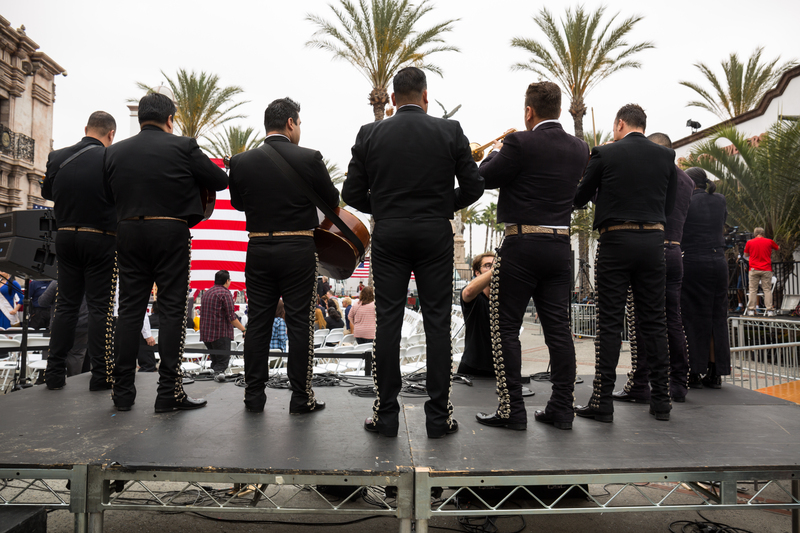 The rally was held the day after the AP called her the presumptive Democratic nominee for President in Lynwood, CA at La Fachada Plaza Mexico. 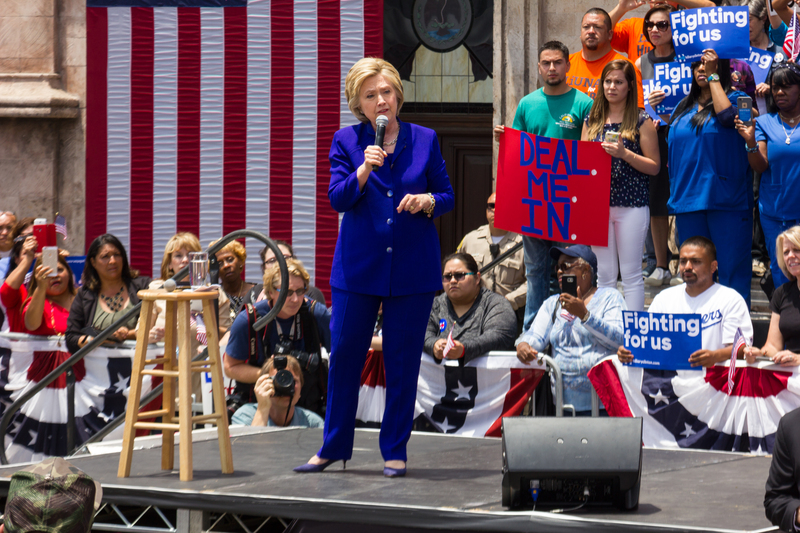 She was introduced by actor Tony Goldwyn, California Secretary of State Alex Padilla, and other local politicians. There will not be a video for this event because something went wrong with my CF card, and about half of the videos and some of my pictures I shot were gone when I transferred the card to my computer. I will still have the Bernie Sanders concert video up in the next couple days. 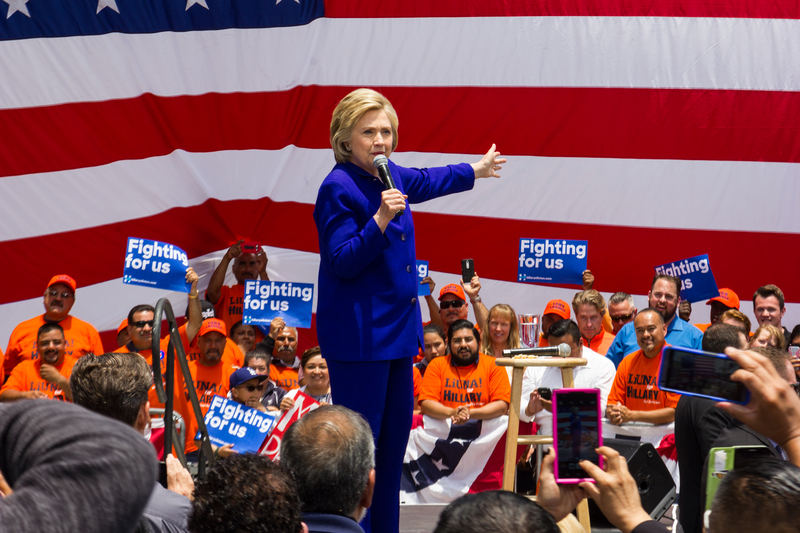 This should be my last presidential blog post until the RNC and DNC next month. 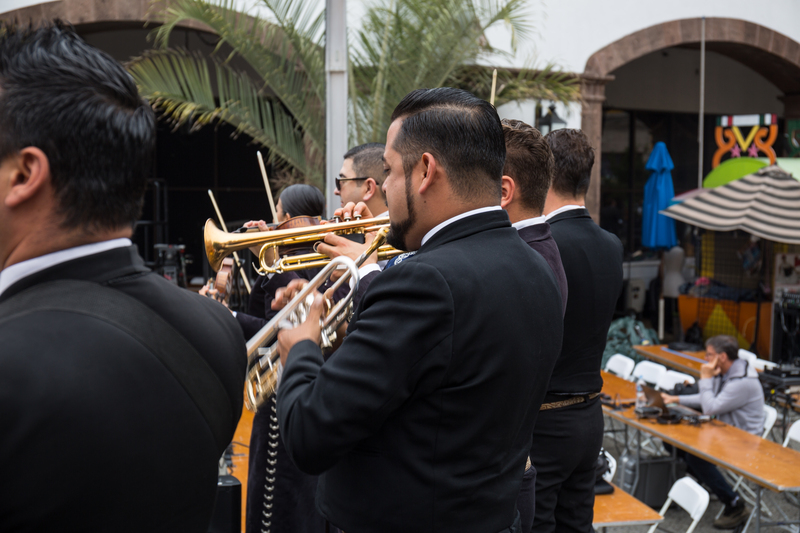 A mariachi band doing a soundcheck before they perform at Hillary Clinton’s campaign event in Lynwood, CA on June 6, 2016. 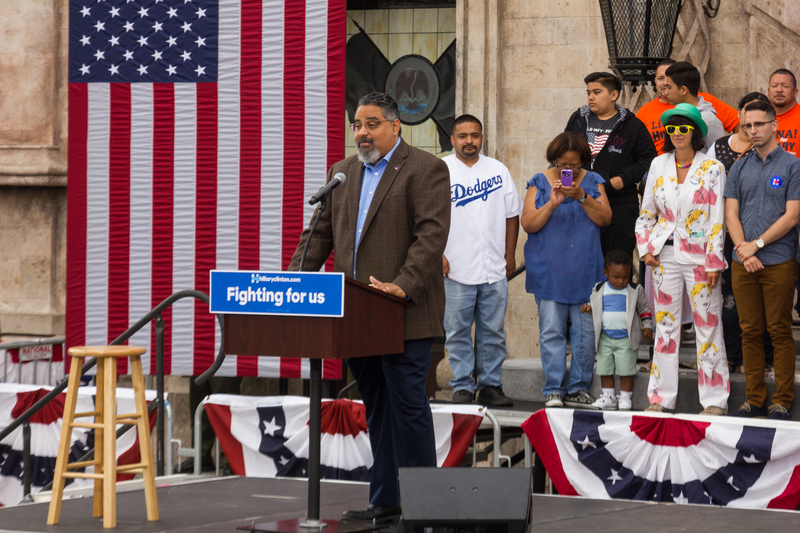 Max Arias, an SEIU executive director, opens the rally in Lynwood, CA by endorsing Secretary Clinton and asking the crowd to vote for her in the California primary election. 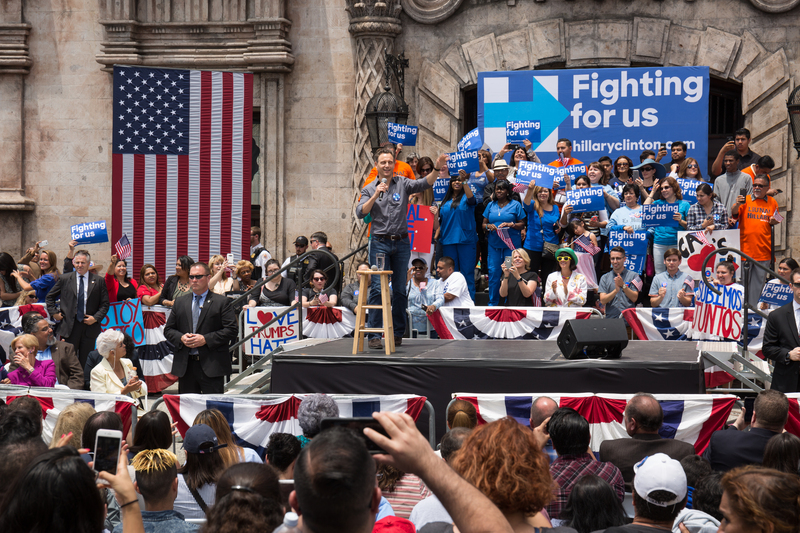 June 6, 2016. 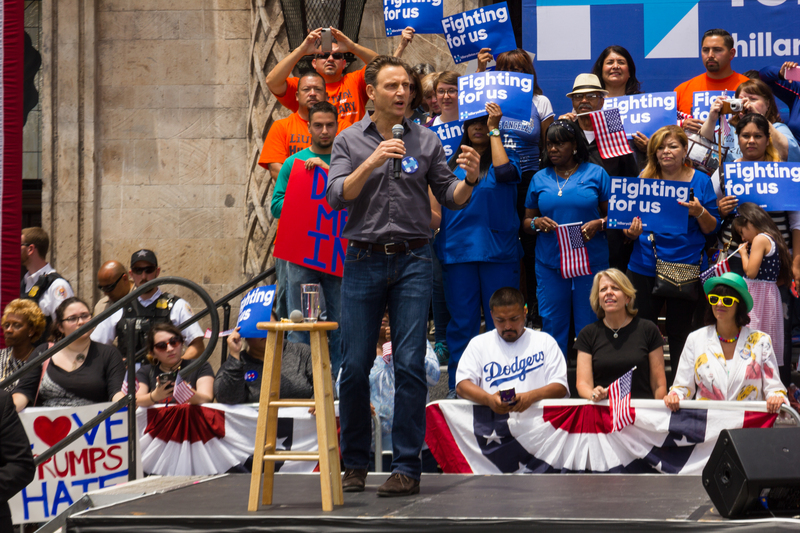 Actor Tony Goldwyn comes on stage to introduce and endorse Secretary Hillary Clinton at a campaign rally in Lynwood, CA at Plaza Mexico on June 6, 2016. 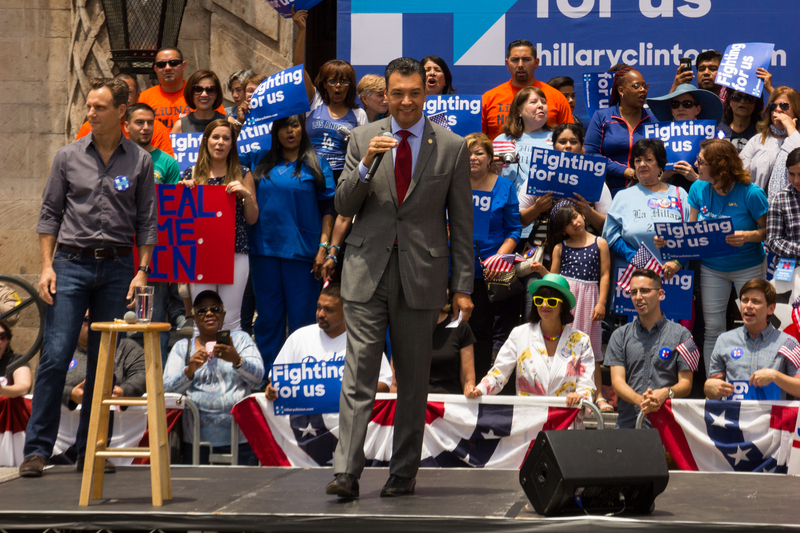 California Secretary of State Alex Padilla joins Tony Goldwyn on stage introducing Hillary Clinton at her geto out the vote rally in Lynwood, CA at Plaza Mexico. 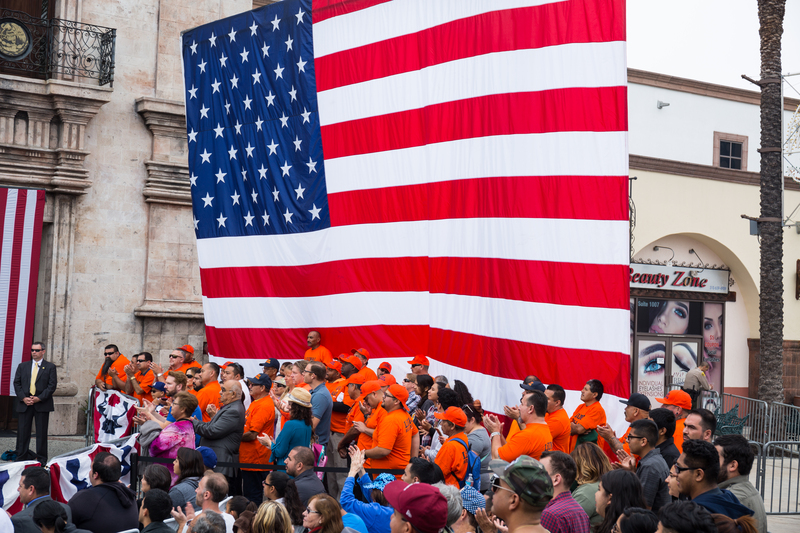 Members of local union organization wear orange shirts supporting Hillary Clinton stand beneath a large United States flag in Lynwood, CA at Plaza Mexico on June 6, 2016. 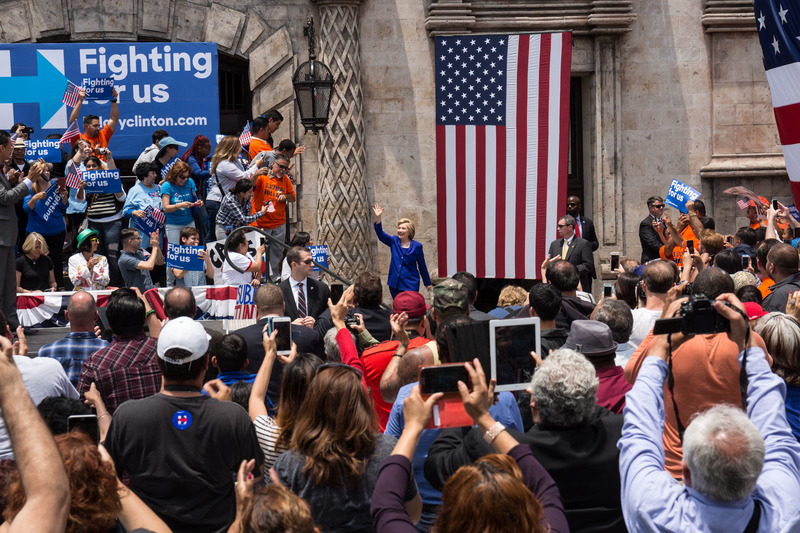 Hillary Clinton waves to the the crowd as she walks to the stage at her get out the vote rally in Lynwood, CA at Plaza Mexico on June 6, 2016. 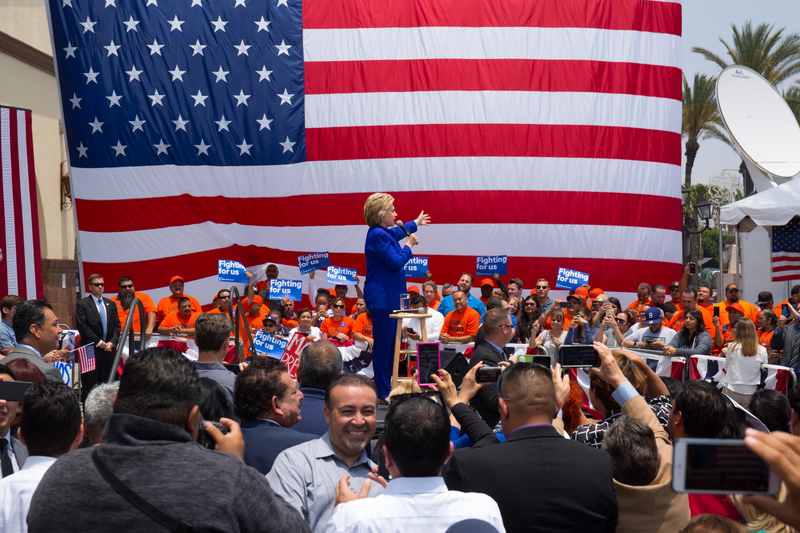 Clinton takes the stage with Tony Goldwyn and Alex Padilla at her get out the vote event in Lynwood, CA at Plaza Mexico. 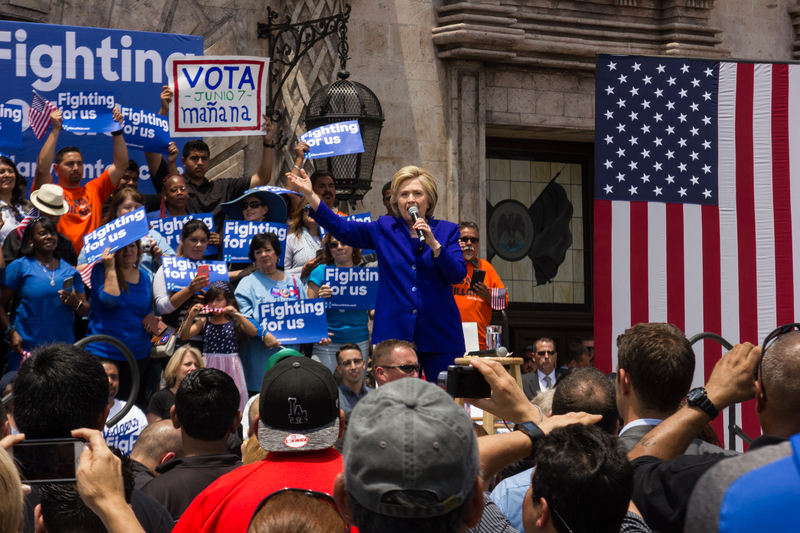 Secretary Hillary Clinton speaks to a crowd of supporters at her get out the vote rally in Lynwood, CA at Plaza Mexico on June 6, 2016.